I discovered the talented Dovey Kim last October when she was featured as one of Allure’s top three Beauty Bloggers. Dovey is an obscenely talented professional who knocks out one of my favorite beauty blogs, Cute and Mundane. Not only is she a card-carrying beauty aficionado, but she also established her following through the beautiful photography on her site, which she (of course) takes herself….in her free time….between her writing and her Allure features. One of her more recent posts featured NARS Illuminator in Copacabana. I love all things NARS, and (of course) tried the NARS Illuminator in Laguna and the NARS Multiple in Copacabana, but never the exact combination of the Illuminator in Copacabana. Eureka! …a pearly liquid highlighter. The shimmer is quite concentrated so I use the smallest amount I can manage. I typically apply it to my cheekbones, bridge of nose, and other places that one would typically highlight. I find that evenly distributing it on fingers and patting it on gently works better than rubbing it in. NARS Illuminators tend to last longer when worn than NARS Multiples. Dovey swatched NARS Illuminator to demonstrate its cooler tone compared to others out there. Less is more with this product: There is nothing worse than an artificially highlighted cheekbone. It looks harsh, garish, and trampy. I apply mine BEFORE my foundation (or, BB/ CC Cream) and then I freshen it afterward. Neglected skin and illuminators don’t mix: Exfoliate and moisturize your skin, prior to applying any of your makeup, especially an illuminator. Dull, flaky skin grabs product and creates a pile-up of it. Not a pretty look! 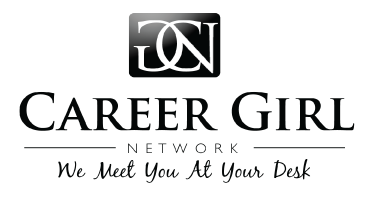 Happy illuminating and as always, shine on, Career Girls, shine on!